Keith served as a Financial Engineer with over 6 years of corporate and leadership experience. As a researcher in international monetary economics and financial economics, Keith holds a Master’s degree in Economics from University of Toronto and Bachelor of Arts in Management and Economics from University of Guelph. Keith is proficient in model validation to substantiate complex mathematical financial models. Additionally, his extensive experience includes quantitative finance with financial modelling and valuation and the application of value at risk (VaR), economic capital and adjusted exposure framework to conduct market risk and credit risk management measurements. Keith’s prominent expertise with buying land, rezoning land and government by-laws created significant relationships with substantial local developers and local government’s planning and development departments. His meticulous selection and investing methodology adds to the success of projects, resulting in maximizing profits for investors in the real estate development industry. 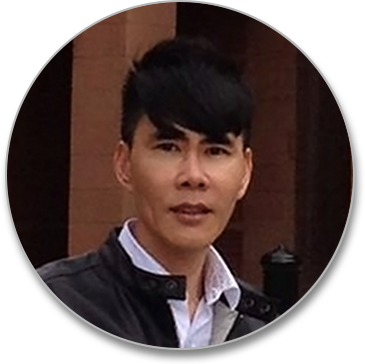 Keith’s visionary approach allowed him to become an early adopter and angel investor of blockchain technology where he is an avid promoter of the strength and utility of this technology. 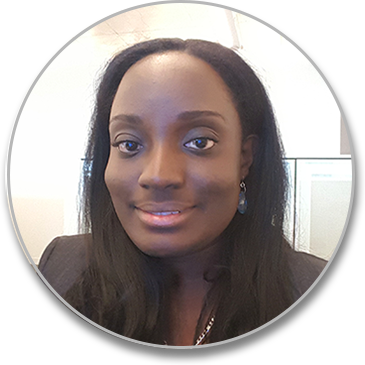 Her extensive experience in the Financial Industry has awarded Dineene with proficient knowledge of financial instruments and alternative investment strategies and structures. Formerly a Senior Director in the Global Banking industry for the largest financial institution in Canada, Dineene was a leader in assessing business practices, creating proposals and implementing business improvement procedures. In partnership with some of the most prominent financial institutions, investment managers, hedge funds, pension plans and mutual fund companies in North America, Dineene currently holds a position as a Director in the Asset Management industry working with Capital Markets and Treasury. Dineene holds a Master of Business Administration degree (MBA) from University of Laurier and Bachelor of Commerce in Business Management and E-commerce from Ryerson University and was on the Board of Directors for a non-profit organization for the city of Markham in Canada. Dineene is an experienced real estate investor with 18 years of acquiring properties, managing a multi-million dollar portfolio. Her ambition and drive presented success that led her to develop training programs advising others how to enter this multi-facet real estate industry. Michael has a wealth of experience in real estate development industry, facilitating multi-billion dollars projects internationally. Currently, he serves as a Director of Business Development at Ideal Developments and Ideal Group. Michael works at a multi-faceted company that develops residential and commercial real estate throughout the Greater Toronto Area in Canada and abroad. With over 25 years of experience, Michael is the leading consultant in business development, marketing and sales for both national and international companies. Michael holds an accounting degree from the University of Guyana, South America and a Systems Engineering diploma from Centennial College in Canada. Dr. James Hirschorn is a financial engineer who holds a PhD in mathematics from the University of Toronto and founder of Quantitative Technologies, a company that conducts research and implementation of machine learning models and trading strategies. James obtained a Master’s degree in financial mathematics from New York University where he studied mathematical techniques for derivative pricing and hedging in various models. Formerly a research mathematician, James authored a number of articles in major international journals and held research positions at prestigious universities. James preformed model validation for market risk and credit risk management of major investment firms and financial institutions in the capital markets industry. A skilled developer with years of experience in software engineering and data analytics, James is fluent in C++, R, and Python. Paul has over 40 years of business experience and a proved history of establishing new ventures and nurturing them by acquiring a proficient staff, attaining intellectual property protection. Paul is the founder of CS Yachts Ltd, a $300 million sales company that ranked first in Canada and 8th in the world for his industry. His relentless attention to detail, strong regimented purchasing practices and forward thinking investments in technology awarded him success to become Canada's most advanced and profitable yacht manufacturing and technology company. Paul later transitioned into the technology sector and founded Indigo Manufacturing Ltd., a small electronics based company that focused on innovating power technologies. Abreast of leading edge technologies and ensuring quality and profitability, Paul grew the company and was awarded worldwide patents currently in use production before selling it to a large multinational corporation. Dr. George Noble holds a PhD in Physics from York University where his research established consistencies with the occurrence of irregularities in the measurements of lithium. George performed quantitative and statistical data analysis on large experimental data sets for scientific publication and with his vast experience, he developed quantitative financial models to support his empirical research that accorded six financial research awards and authored seven scientific publications. As a Postdoctoral Fellow at Ryerson University, George constructed magnetic fields mathematical models and algorithms collaborated with Innovative Bio-Medical Technologies Ltd and Lumasonix Inc. to process photoacoustic signals. In addition, George has an extensive background in computational physics and time series analysis where he programed algorithms in Python for industrial projects, patent pending. Laura has over 20 years of real estate experience, most recently working in the Republic of Panama promoting and closing million dollar deals for people seeking retirement and investment opportunities. Her professional experience with expats and her strategic network in Canada has awarded Laura with a billion dollar property inventory and managing a large land banking portfolio. Through mortgage syndication investments, Laura has partnered up with several well-known developers. Laura experienced significant success in connecting her network of HNWI (high net worth individuals) with development opportunities in Canada earning unprecedented returns. Laura is on the cusp of the emergence of crypto currency. She has facilitated several educational seminars and developed a massive portfolio of investors and crypto currency enthusiasts. Derick held positions as Executive Assistant to an Ontario Member of the Provincial Parliament (MPP) in Canada and the Acting Permanent Secretary for the Government of Grenada, equivalent to Assistant Deputy Minister in the Ministry of Agriculture & Rural development in Canada. With his extensive experience on Bay Street at Merrily Lynch, Midland Walwyn Inc. and TD Greenline Investor’s Inc. and his services as Member of the Board of Directors and Treasurer and Board Member for various non-profit organizations, Derick will lead the development and management of all communications programs at the executive level. Devolve Developer’s global team of industry experts have over 60 years of experience in the real estate development marketplace. The team will continue to evolve as we form strategic alliances with governments and regulators, developers and city planners, and real estate professionals and affiliated businesses. Our board of advisors’ expertise in real estate development, technology and blockchain will certify effectual business systems and proficient investment operations with our proprietary platform concentrated on commerce, investing, technology and data. 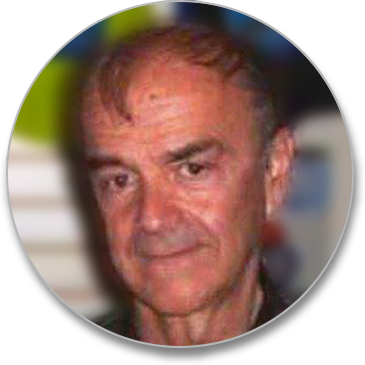 Dr. Thanasis Stengos, B.Sc., M.Sc., Ph.D. Professor Stengo developed methodological tools applied to economic growth, economic development and the process of convergence. His current research centres on the determinants of bitcoin returns within a LASSO framework by identifying the covariates of bitcoin returns. 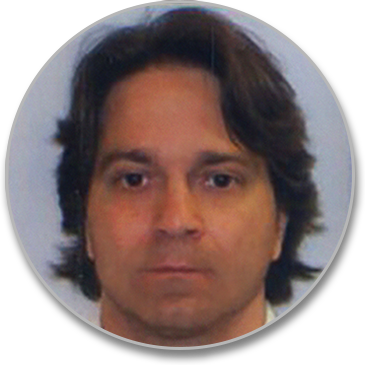 Professor Stengo has authored numerous research papers and was published in renowned academic journals. Richard received an LLB Hons. from the University of Wolverhampton and has extensive knowledge in corporate and regulatory law. in New York City. Richard comprehensively contributes to the legal discipline of blockchain technology where he collaborates with industry sponsors and participants regarding cryptocurrency initiatives, blockchain law and regulation and corporate law for initial coin offerings. Carmen Luz Ortiz is a highly accredited lawyer for one of the leading law firms in Panama, POLS Attorneys, that specializes in corporations, private interest foundations, real estate, immigration, commercial, and relocation laws. An industry expert, Carmen supported numerous multi-million dollar commercial real estate development deals from lavish hotel establishments and travel timeshare resorts to major convention centres and theme parks. Facilitated the development of hundreds of residential units in Latin America, Carmen provides real estate transaction and escrow services and development assistance in contract negotiations and obtaining permits. facilities in Jamaica and Trinidad and currently a project of innovation, constructing a revolutionary Smart City of residential and commercial units on 233 acres of land in Barbados that implements an entirely digital city with hotspots, renewable energy resources and governmental services on mobile platforms. Sameer additionally is the Chairman and CEO of a software development and technology company, FasPay Global that employs a payment app employed on various continents. 33 territories throughout the Caribbean and selected Latin American territories. Karis Munroe originated numerous enterprises consisting of the Caribbean First Multiple Listing System (CFMLS), Guyana's Best homeownership platform & the Guyana National Housing Trust society; The Caribbean Startup Incubator "BuddingPreneurs," Youth Empowerment Entrepreneurship and Sustainability Platform; and the Foundation of Almost Homeless. Karis Munroe is the recipient of the Honorary Master of Science in Counseling and an Honorary Ph.D in Humanitarianism. Johnson Osei is CEO of Lexington Property Development, a private development company located in Toronto, Canada with over $35 million US in assets of luxury homes and high-end community living. Johnson is an experienced international developer specializing in building large subdivision residential projects entailing single-family homes, apartments and estate homes in Canada and USA and currently developing. a world-class luxury golf and casino resorts on a 3,000 acres land in the southern coast of Ghana. Partner and Director of Corporate Strategy at Castleton Development, Ram has over 10 years of real estate development experience building large sub-division in Canada and internationally. With his strategic leadership, marketing and operations experience, Ram is an industry expert with a strong reputation in the residential, commercial and multi-family construction markets. Specializing in luxury custom build development projects from build-to-suit commercial facilities to residential properties administering acquisition, project design, city approval process and construction oversight development services. CEO and Founder of Stallion Construction Group Inc.
plazas, medical/dental clinics, law offices, retail stores, gas stations, high-rise buildings and major land developments in Canada and the United Sates, and building hospital and environmental projects in Pakistan and Middle East.